is our second most poplar product! It helps to bring new life back in to laminate counter tops that are scratched, stained or lack lustered. We can also help you with repairs from chips and burns. Just like Refinishing Bathtubs, Resurfacing counter tops can bring as much satisfaction as replament but for a fractionof the cost. We currently offer two options for Counter top Refinishing. Both are a great way to transform your kitchen or bathroom. Our standard choice is a solid base with a secondary color flecked in for additional contrast. 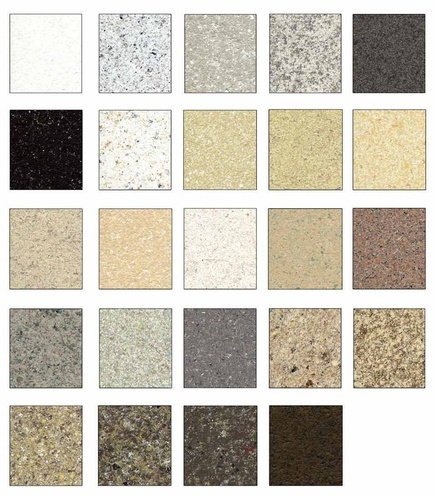 Featured below is our Premium Imitation Stone Finishes that can bring a beautiful high quality look to your space! Have a larger project? A whole tile/ wainscot bathroom? 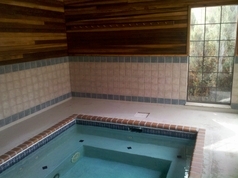 Pool room? Gotham City Reglazing can resurface those projects too!